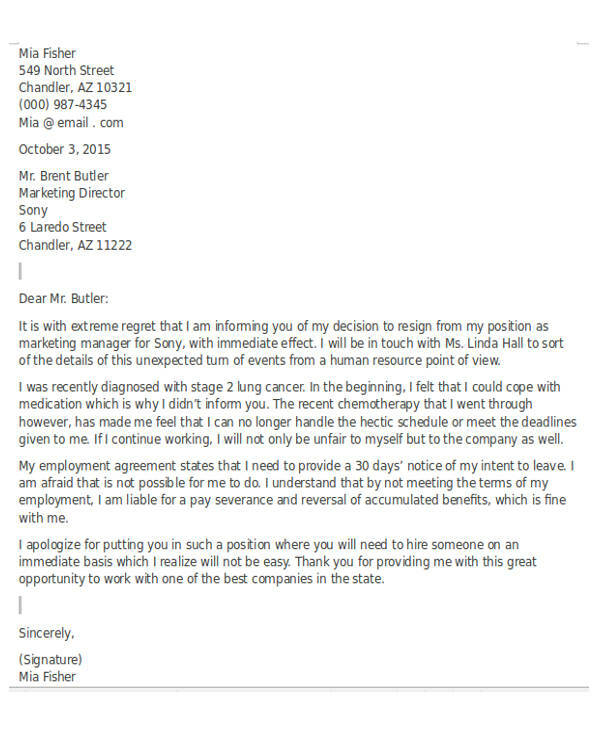 A lot of things may be the reason why an employee has finally decided to leave his/her professional post from a company where he/she is currently working at. There may be factors that are provided by his/her coworkers, the environment, or the processes that he/she needs to undergo on a daily basis. However, there may also be times where a resignation is a personal decision because of reasons that do not concern the work or the company. 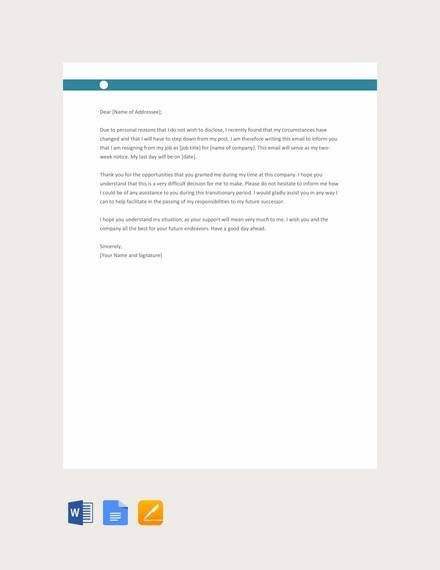 We can provide you with samples of resignation letters for personal reasons if you want to resign from a company because of reasons that are not related to your work functions. 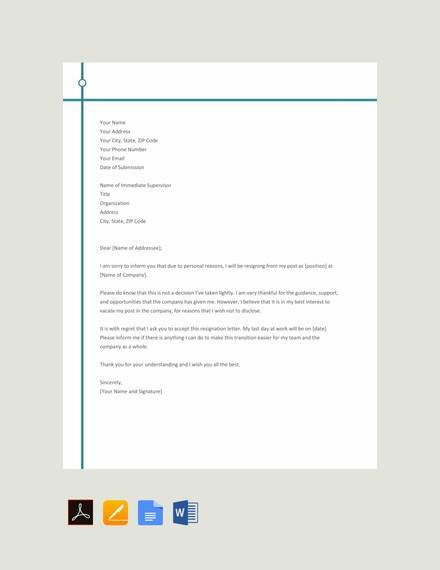 Moreover, we also have other Sample Letters that you may use as guides and references in creating various kinds of letters used in different transactions and processes. The individual may need to attend to his/her health first. This can be because of a medication that he/she needs to undergo for a certain period of time, which is why he/she cannot go to work anymore. The individual may already have a transfer of residential location and it may be too costly or already impossible to go to the vicinity of the company where he/she is currently employed. The employee may have decided to study another course or to further his/her academic attainment by enrolling at a graduate school and he/she needs to focus on schooling first before finding another job. There may be items that the employee needs to take care of first that are far more important than the job that he/she has been doing. 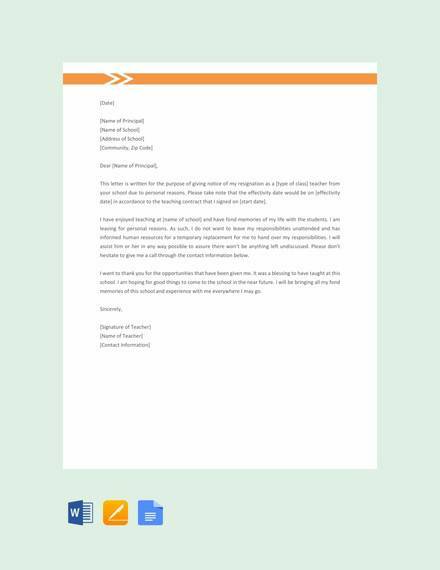 Aside from our samples of resignation letters for personal reason templates, our samples of Immediate Resignation Letters and Professional Resignation Letters are also available for download. Since it is a personal decision, allow the company to understand your situation and assure them that it is not because of any lapses that you may have found from operations, if there are any. 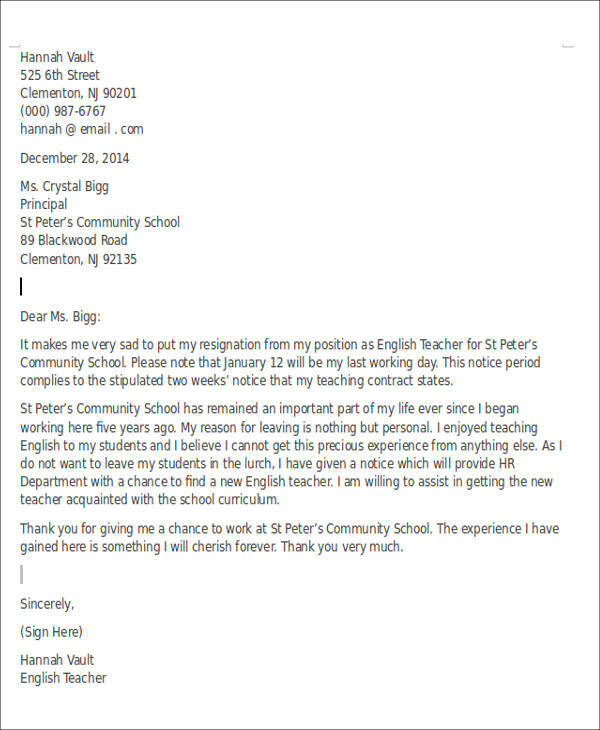 Use a professional way of conveying your message even if your reason for leaving is personal. 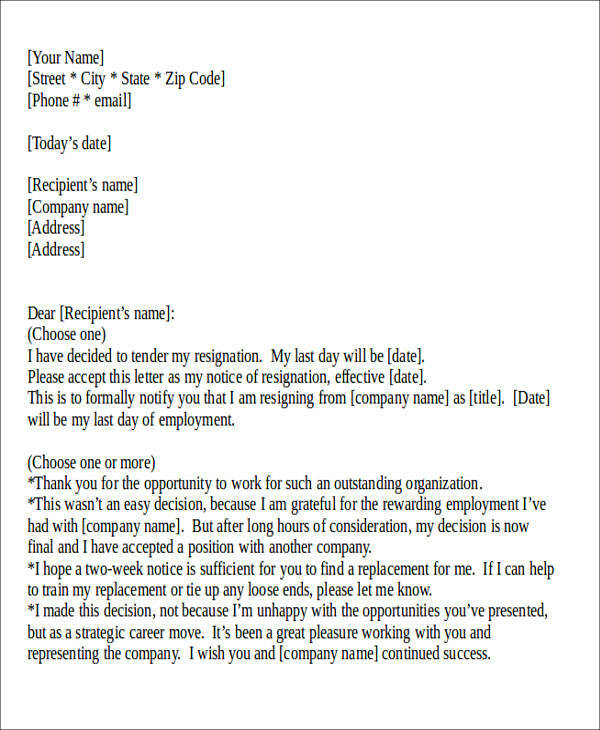 Do not forget that it is still a company document, so do not be too emotional when writing the letter. 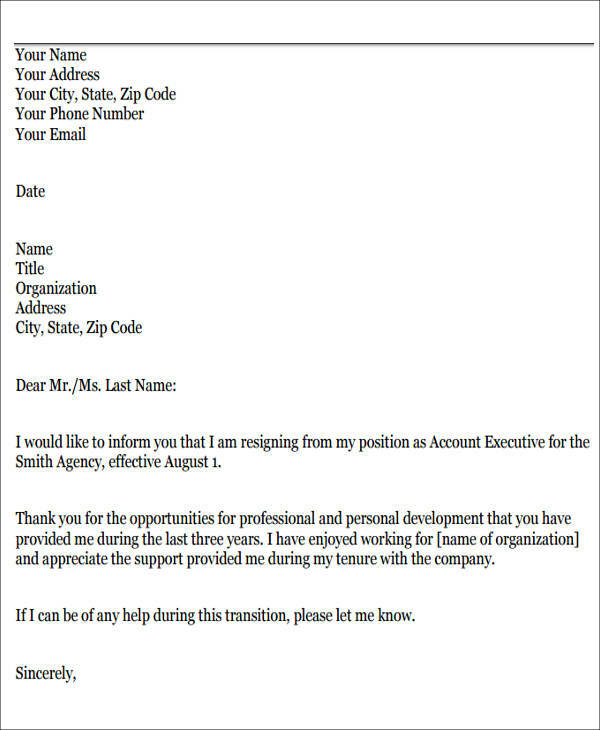 Create a resignation letter that will allow you to continue a smooth and professional relationship with your company so you can use them as a reference that could help you on your future professional undertakings. 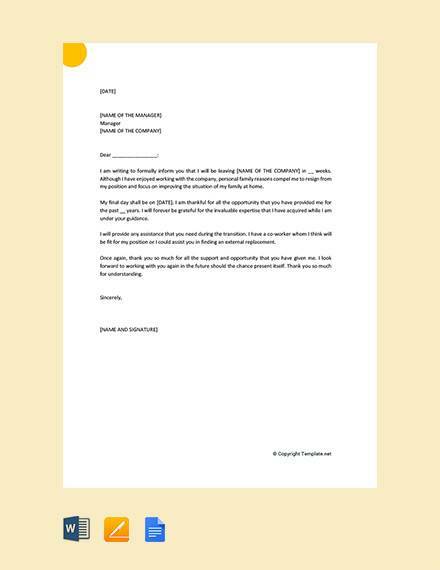 Do not forget to thank them for understanding your situation and send them your warm regards for the company’s future successes even if you will soon not be a part of the company anymore. 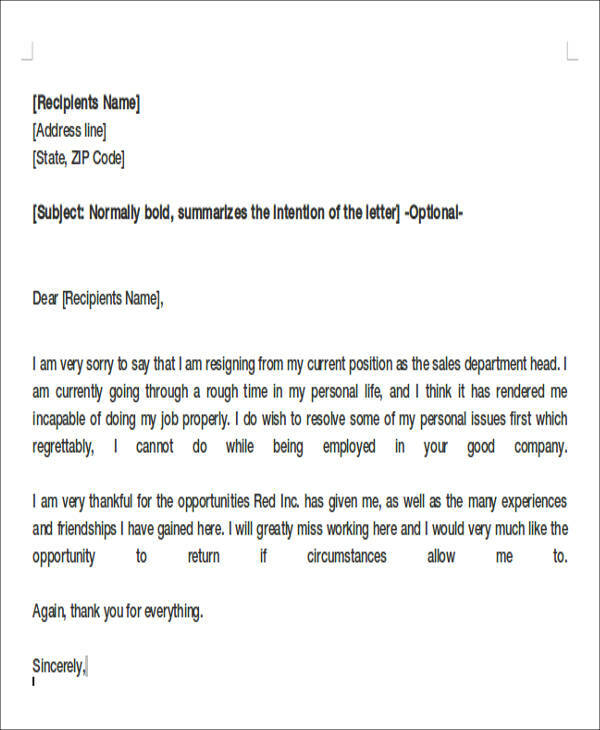 Other than our samples of resignation letters for personal reason templates, you may also be interested to browse through and download other kinds of Job Resignation Letters.